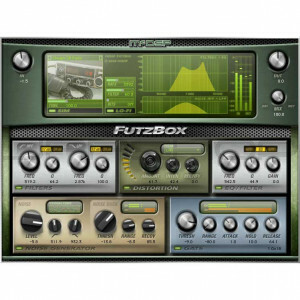 FutzBox is a distortion and noise generator plug-in for creating low fidelity versions of audio signals. 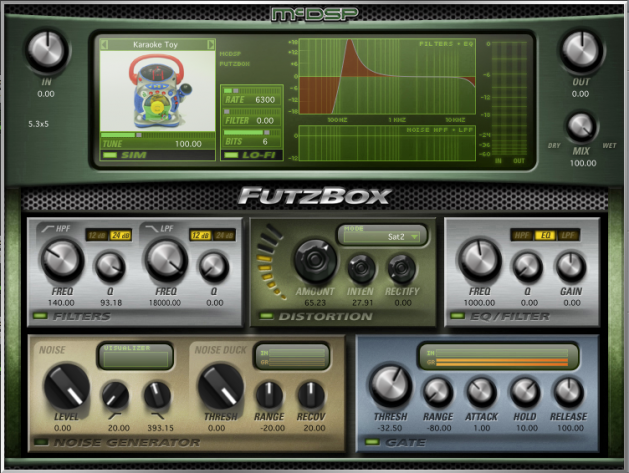 FutzBox is available individually and in the Emerald Pack bundle. Typical post productions require distorted, or ‘futzed’ versions of dialog and other tracks. Simulations of radios, cell phones, and televisions are now available together in FutzBox. These simulations, called SIMs (Synthetic Impulse Models) provide accurate modeling in an extremely optimized format, allowing FutzBox to use less dsp power than conventional convolution based products. Furthermore, SIMs can be scaled in real-time and changed on the fly.